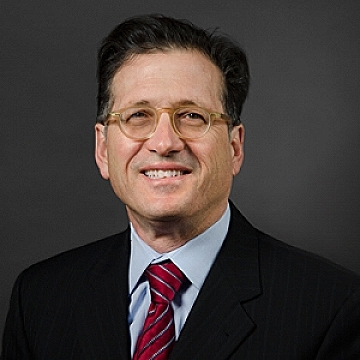 Jim has maintained a broad-based litigation practice for more than 30 years. Among his many accomplishments during his distinguished career, he was named chief defense liaison counsel for the landmark Station Fire mass tort litigation by the Presiding Justice of the Rhode Island Superior Court. He has devoted a substantial part of his practice to the defense of product liability claims, including automotive/trucking product liability, manufacturing machinery and equipment, electrical components, building products, pharmaceuticals and other products. Jim is also actively involved in the defense of asbestos product liability claims on behalf of manufacturers of heating and cooling equipment, valves, pumps, compressors, building products manufacturers, and aircraft manufacturers throughout New England. His practice regularly involves insurance coverage matters in the areas of extra-contractual liability, claims handling, coverage and bad faith. On issues of employment law, Jim actively represents employers across a wide range of industries in the defense of employment discrimination claims at both the administrative level and in the state and federal courts in Rhode Island and Massachusetts. He is also involved in the defense of the transportation industry in connection with trucking accident claims as well as labor and employment issues. Jim has tried more than 30 cases to conclusion in the state and federal courts and has represented clients in numerous appellate proceedings in both state and federal courts. He is a sustaining member of the Product Liability Advisory Council, an association of more than 100 leading product manufacturers and 350 of the foremost product liability defense counsel in the United States and abroad. He has also been recognized by both The American Lawyer and Corporate Counsel for his outstanding achievement in the fields of product liability and insurance law. In a recent television interview Jim addressed Higgins, Cavanagh & Cooney’s ability to serve the litigation needs of larger companies and major insurance carriers doing business in the region. A portion of that interview can be seen here. He has also discussed Rhode Island’s new paid sick leave statute on NBC 10, which is available here. Jim began his legal career as a law clerk to the Justices of the Rhode Island Superior Court during the 1982-1983 term. He served as law clerk to Supreme Court Justice Florence K. Murray during the 1983-1984 term. Among other duties, Jim assisted Justice Murray with her opinion in State v von Bulow. He joined Higgins Cavanagh & Cooney in 1984 and became a partner in 1990. He is admitted to practice in Rhode Island and Massachusetts in both the state and federal courts. Jim is a graduate of Brown University and Case Western Reserve University School of Law in Cleveland, Ohio. Jim is a member of the Rhode Island, Massachusetts and American Bar Association’s. He is also a member of the Claims & Litigation Management Alliance (CLM), ALFA International, the Defense Research Institute and the Defense Counsel of Rhode Island. Jim is a past president of the Brown Club of Rhode Island and serves as a member of the board of directors of the Roger Williams University School of Law.